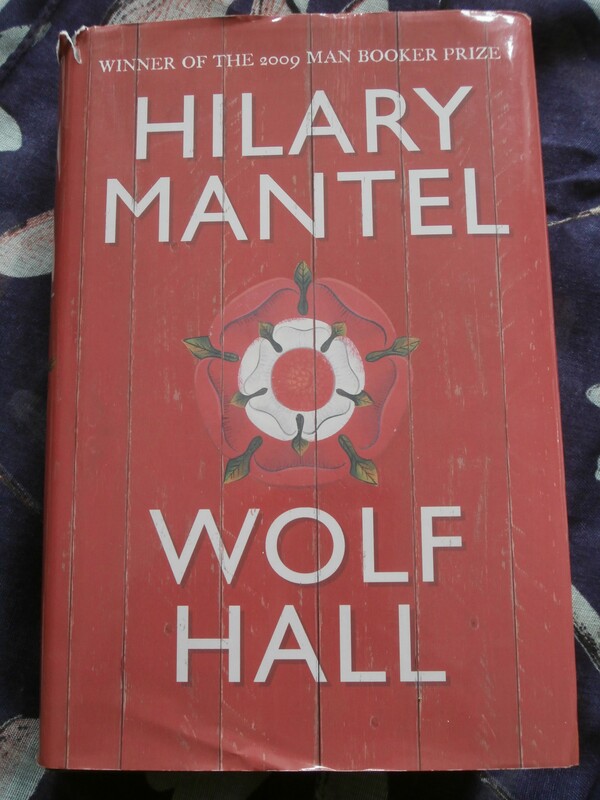 I finished reading ‘Wolf Hall’ and ‘Bring Up the Bodies’ by Hilary Mantel in time for the final episode of the wonderful BBC adaptation. I’ll miss them. There are images in my mind now (from both books and television) that will take a long time to fade. As always, I’m glad I read the books first. I felt so involved in the world they created, but that takes nothing away from the excellence of the BBC version. The third book is desperately needed! The nestbox in my garden, photographed on a sunlit, hopeful morning. I’d be surprised if any birds chose to nest in it: updates will follow if there is any news. 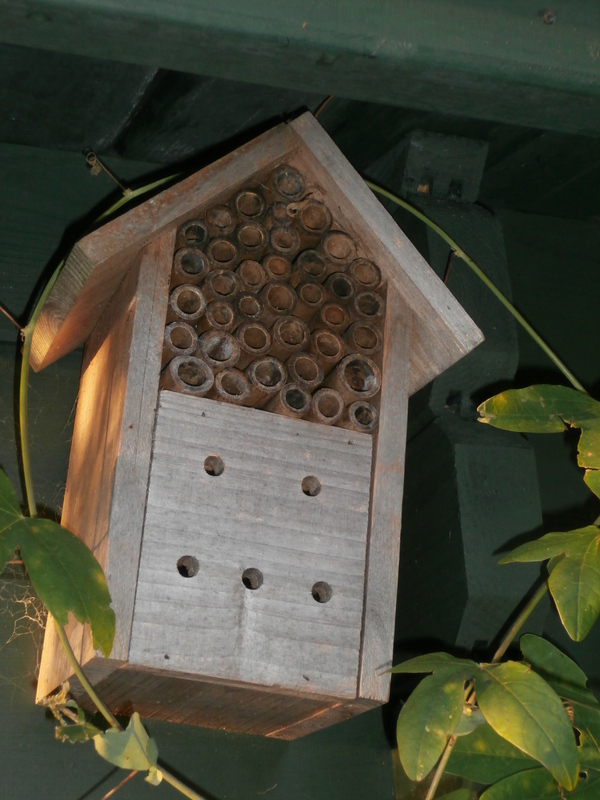 I’ve got an insect hotel too! Author katkarradzPosted on February 23, 2015 February 23, 2015 Categories birds, garden, springTags birds, garden, springLeave a comment on Maybe this year? A very short post! I couldn’t resist though. This is the first anemone of the year in my garden. It’s very small: the photo flatters it somewhat. The gallery shows before and after photos, along with a very small red anemone which is trying to open out in the cold weather. So this is the plan: put up some shelves for the gardening books which, at the moment, are piled up in a corner. 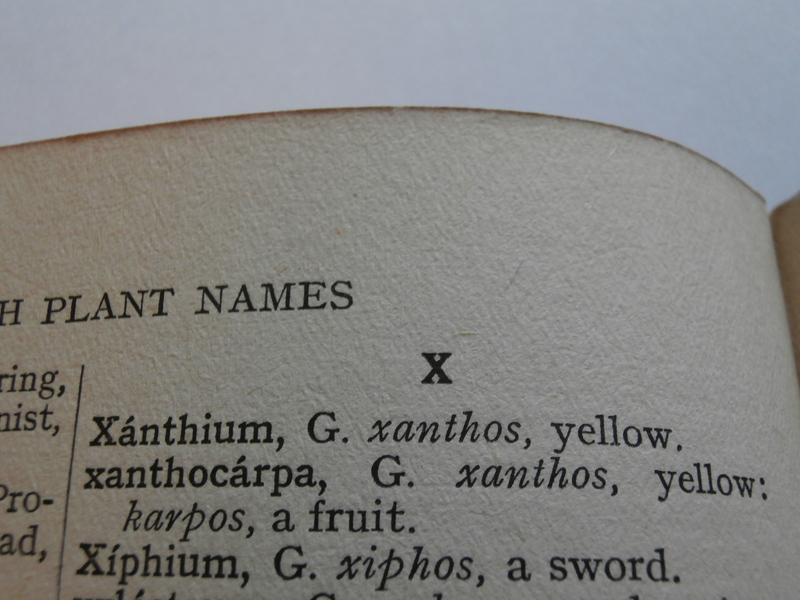 It’s been mooted before, but writing about those poisonous plants and plant names brought it back into focus. Looking along my bookshelves, I’ve found two relatively old books I’d forgotten about or just neglected. One is called ‘The Book of Wildflowers’. I remember seeing it on the bookshelves when I was a child. Only now do I notice that an older relative’s name is written inside it, in faded blue-black ink. Someone (unfortunately I suspect myself here) has crossed boldly through his name in black; my name appears on the following page. Guilty as charged! 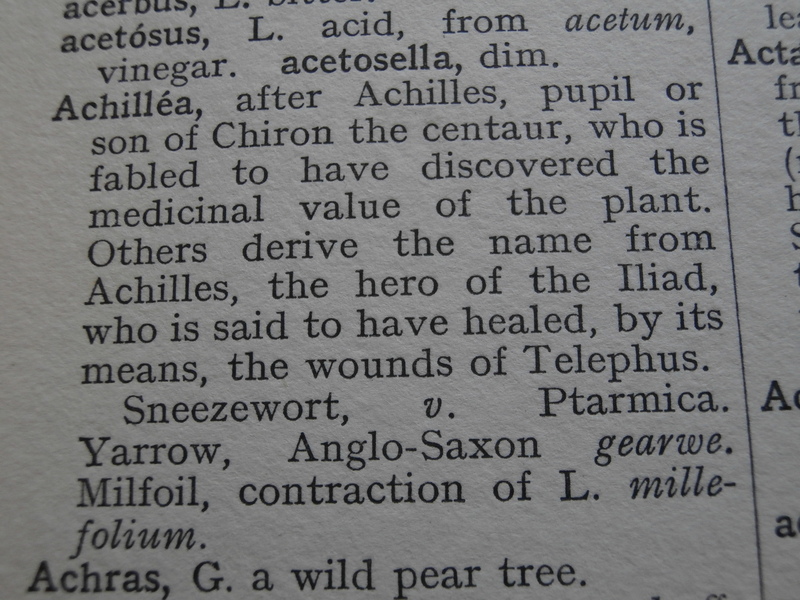 The other book is ‘The Observer’s Book of Wild Flowers’. I remember choosing this one myself; it has some clumsy maths workings-out in the back of it, along with some improvements suggested by my mum! Clearly an interest in flowers was always there, though apparently not much respect for a book as an object; as a young child I used to enjoy writing in my books – personalising them, you could say. That’s why I find it difficult to give away any of my older books: some of them are like little time capsules. I bought some old gardening books recently; this one in particular caught my eye because it combines two of my interests: plants and language. 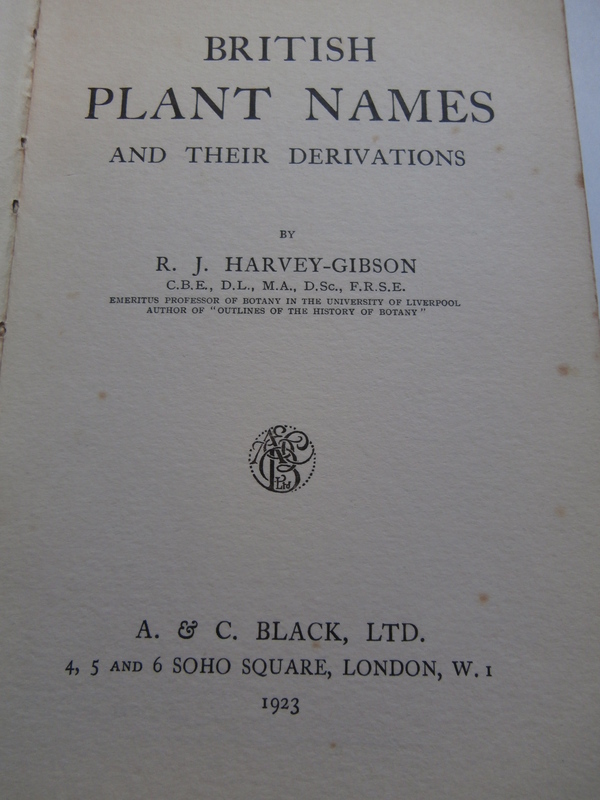 It contains some fascinating information about the origin and meaning of plant names. I know all this can probably be found easily on the internet, but it’s much more exciting somehow to read it in a book from 1923.